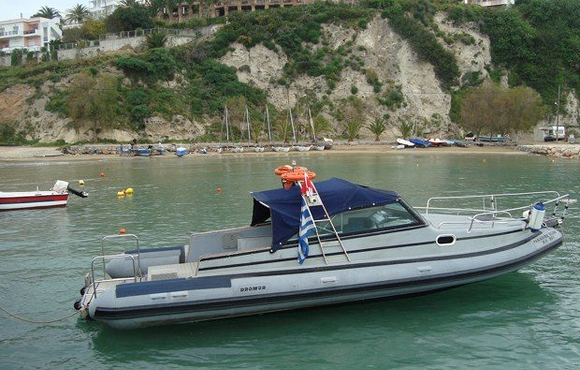 Transportation from and to the airport or the port of Chania. 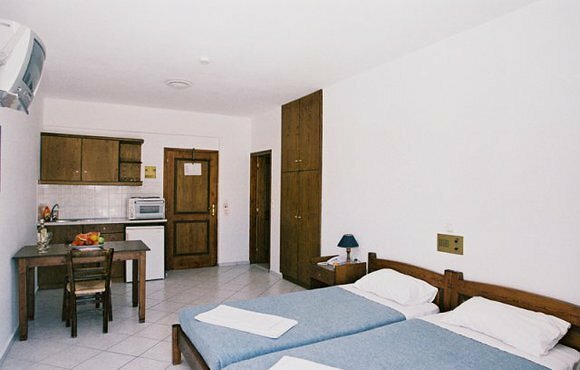 The Niriides Hotel is a small complex of 12 comfortable apartments. 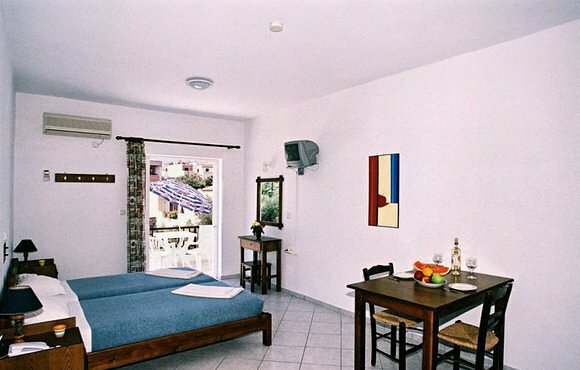 Air-conditioned studio-apartments and two-room (one bedroom) apartments are situated inside a beautiful garden, each with its private bathroom, satellite TV, safe, telephone and fax facility, wireless internet and a fully equipped kitchen. 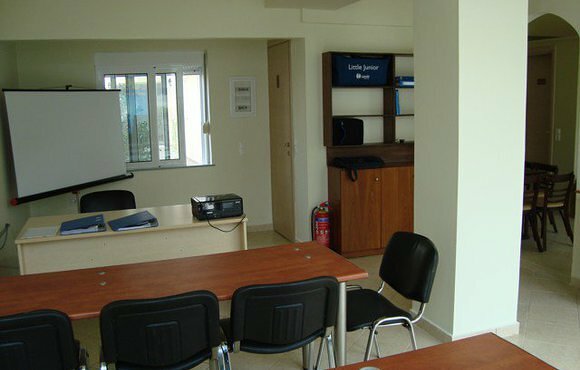 There is wheelchair access and parking space. 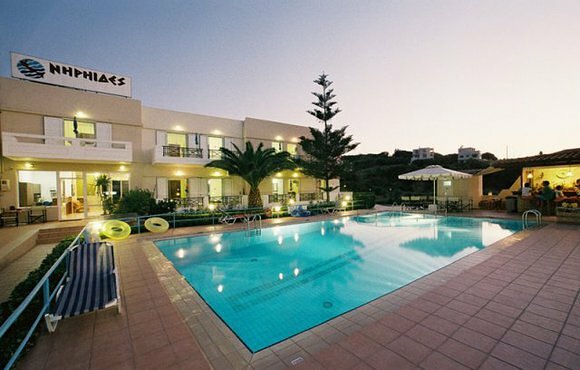 The hotel is only 150m away from the two shallow, sandy beaches of Almyrida while it also has a large swimming pool (12,5m X 6,5m) with a special section for children. 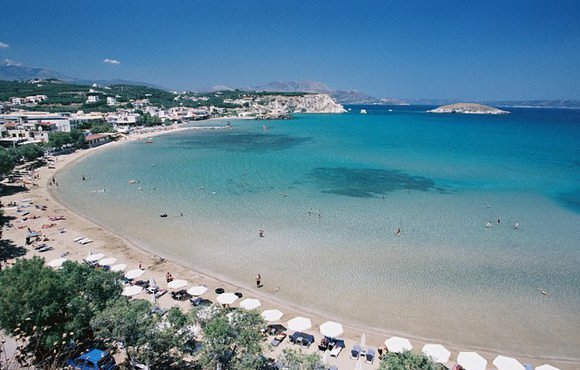 Almyrida’s beaches have been awarded the blue flag, a symbol of quality based on strict criteria, and there is always a lifeguard on watch. 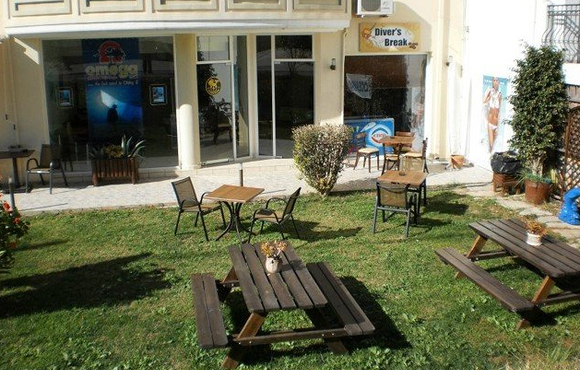 Washing machine is available.The price to use is 5€ for 4 kg clothes. 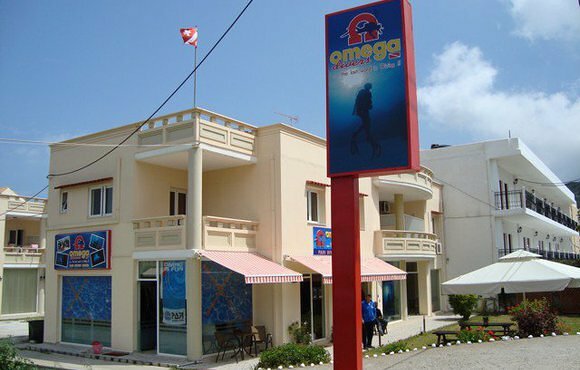 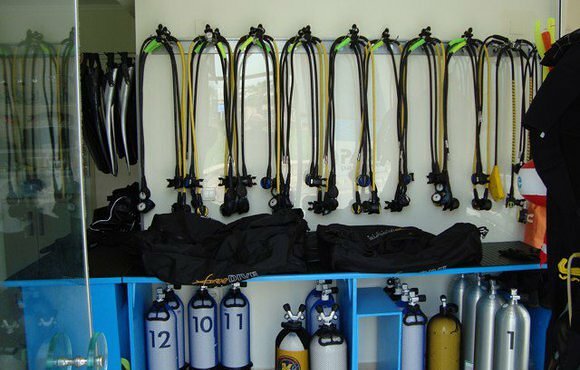 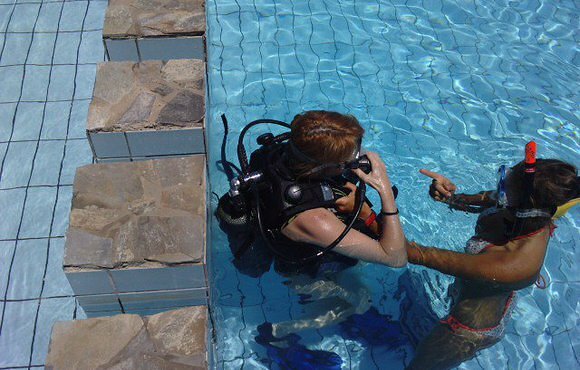 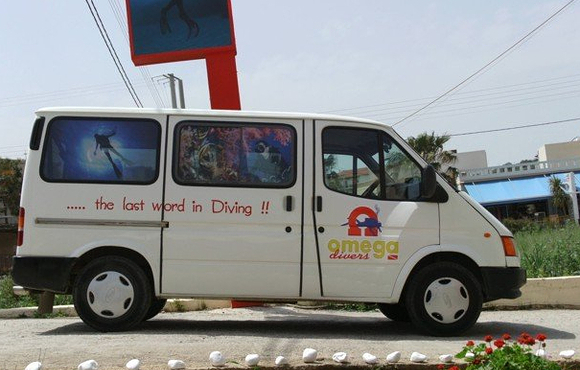 Omega Divers is a new PADI Center established 2011 offering recreational diving and courses for novice and experienced divers maintaining the highest possible standards of diver safety.